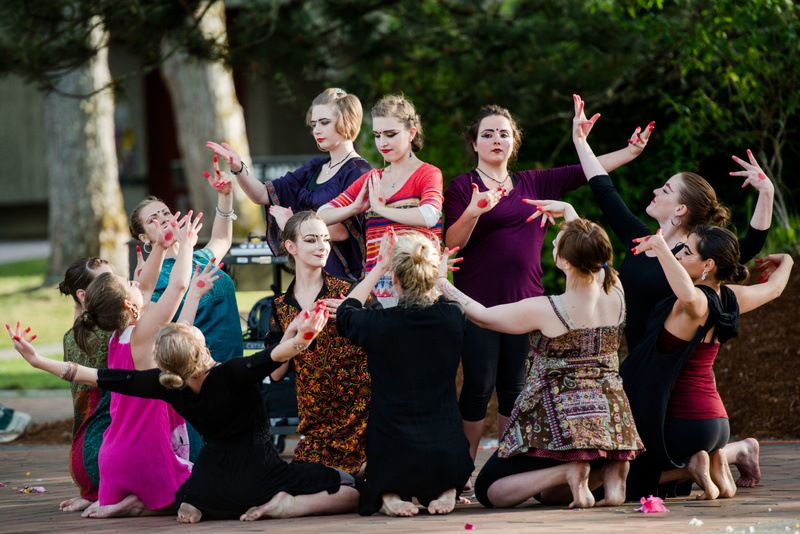 The Evergreen State College is more than a place of academic excellence, it’s a community hub for the arts. It’s a place where people from all over Thurston County and beyond gather together to enjoy wonderful works of music, dance and theater. Because their Recital Hall and Experimental Theater spaces are acoustically designed for live performances and music concerts, they attract high-quality productions including local student musicians to nationally touring shows. This December, local schools such as the Olympia Waldorf School to the well-known Emerald City Music group out of Seattle, will all travel to The Evergreen State College to perform on their stage. This December, we are fortunate enough to have three festive nights of dancing, carols and concerts that are sure to warm our hearts on a cold Thurston County night. The first event to kick off the three days of theater is The Evergreen State College’s own beginning Odissi dancers. Odissi dance, also known as Orissi, is a classical dance form in India. Originating from the Hindu Temples, its roots are centuries old and blend the gorgeous colors and fluid movements that make the traditional dance so memorizing. The Evergreen Odissi Dancers will perform to the music of India with a temple backdrop and of course, gorgeous costumes and adornments. Best of all, this program is free. 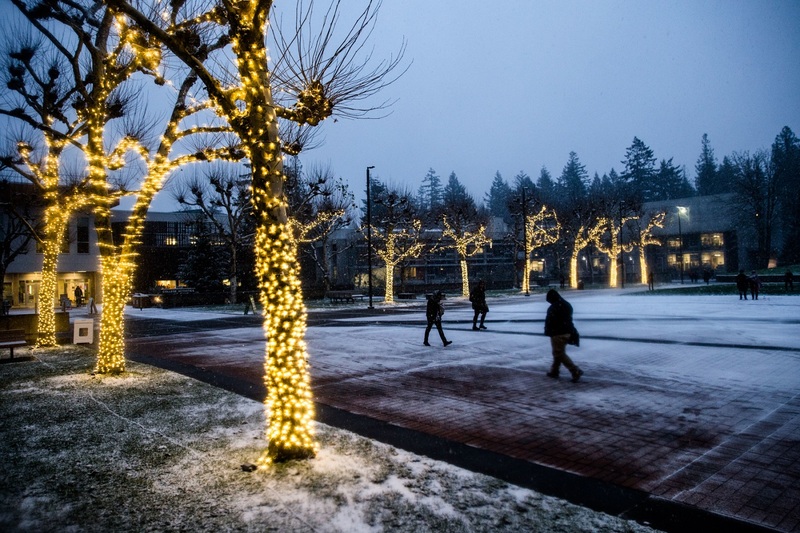 Next, get into the swing of the holiday season with The Evergreen State College Singers as they present “A Ceremony of Carols” by Benjamin Britten. Written for Christmas, Britten’s work consists of 11 movements, some of which come from Middle English poems, others are in Latin. The beautiful melody and harmonizing of the voices makes understanding the words non-essential. For some, it’s not Christmas until they have heard this cantata, which Britten wrote during WWII as he crossed the Atlantic on a cargo ship. For me, it’s not the holidays until I’ve seen Scrooge learn the true spirit of Christmas. And this production promises to be a very special one. 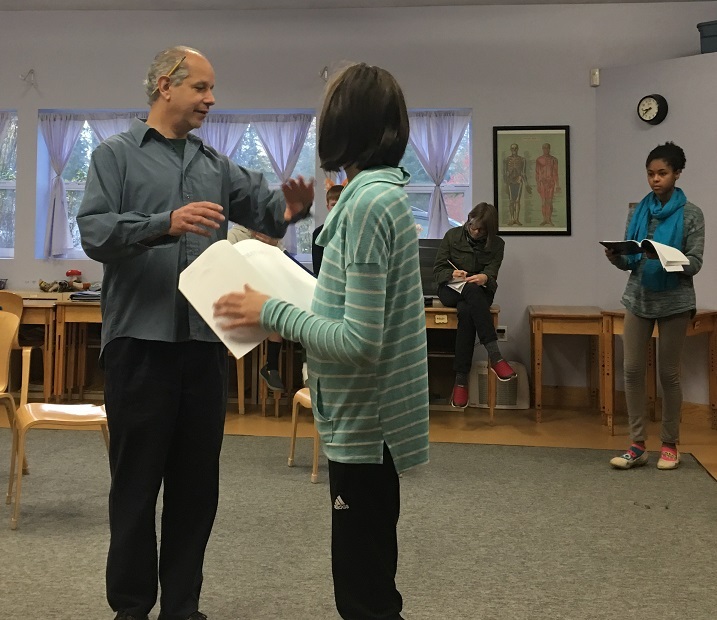 Every year, each class from Olympia Waldorf School (OWS) rehearses and performs a play appropriate to their age and abilities. This year, the eighth grade class is treating us to two performances of “A Christmas Carol” through a unique partnership with The Evergreen State College. “This group of eighth graders have been with same teacher since first grade and have been working hard. They are a bit nervous to be performing at the college. 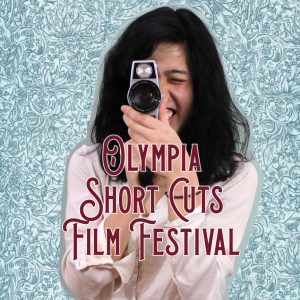 It’s a big deal for them,” says Lori Lively, enrollment coordinator at Olympia Waldorf School. She explained that ideally, Waldorf teachers begin with a class of first graders, moving up with them each year through eighth grade. Sweekriti Apple is one of a handful of teachers at OWS to accomplish this and she is part of an even smaller group who has completed this circuit twice. “We are so pleased that a partnership with The Evergreen State College is giving our students this opportunity,” she shares. The three days of quality theater performances wrap up with Seattle-based Emerald City Music’s Miró Quartet. If you love fast and furious bowing mixed with lovely flowing interludes, you are sure to love the Miró Quartet. 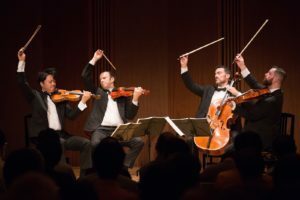 Named after the Spanish artist, Joan Miró, whose surrealist works are some of the most original of the 20th century, the Miró Quartet has taken first prize in a number of international competitions, including the Banff String Quartet Competition and Naumburg Chamber Music Competition. The Miró Quartet was also awarded the Avery Fisher Career Grant. This special show puts the Miró Quartet in the spotlight as they curate a full evening of quartets. Tickets can be purchased on the Emerald City Music website and at the door. The Evergreen State College is located at 2700 Evergreen Pkwy NW in Olympia. Parking is ample and is $2 for a 2-hour pass or $3 for a daily pass on weekdays until 9:00 p.m. and free on the weekends. The theater is just a short walk from parking area C.